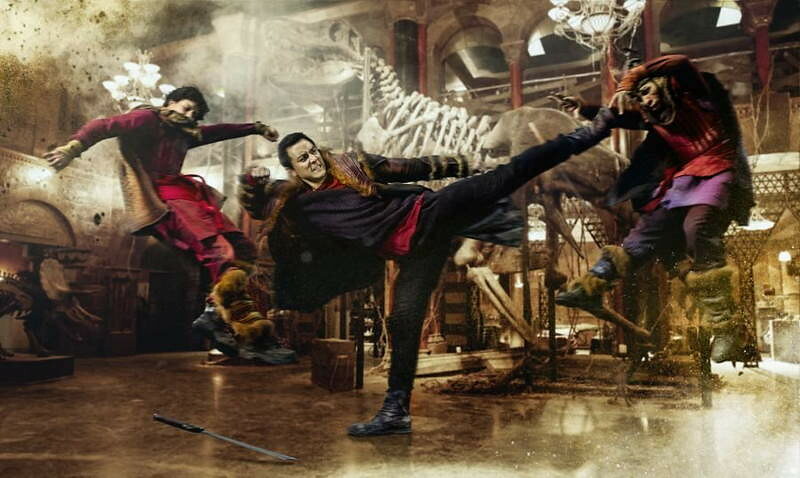 The AMC post-apocalyptic Kung Fu western is back for the third season with new and exciting locations. The series have in many aspects, a very original point of view. Into the Badlands puts together surprisingly well a mash-up world of neo-feudal lords. The characters fight in elaborate action scenes with swords instead of guns, all seasoned with a touch of obsolete technology steampunk. 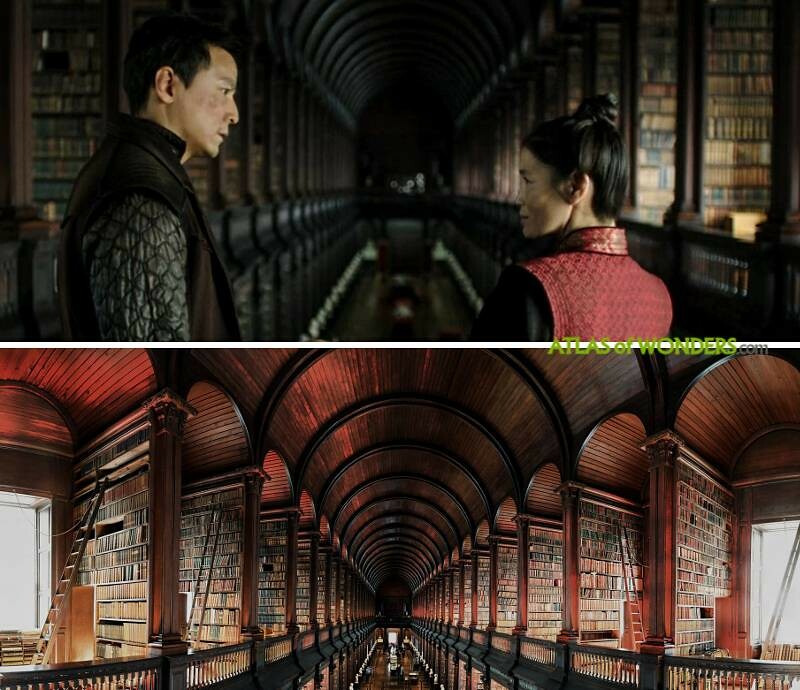 The cast is lead by talented martial arts practitioner Daniel Wu (who recently starred in the latest Tomb Raider movie along with Alicia Vikander). 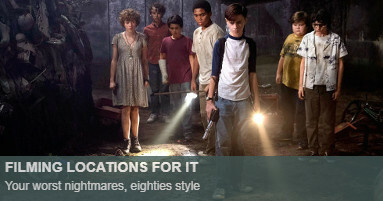 A darker reincarnation of Ralph Macchio in 84' Karate Kid, Aramis Knight, plays a lad who gets into berserker mode when he's bleeding. The comedian Nick Frost (Shaun of the Dead) was a refreshing addition to the show in season 2. 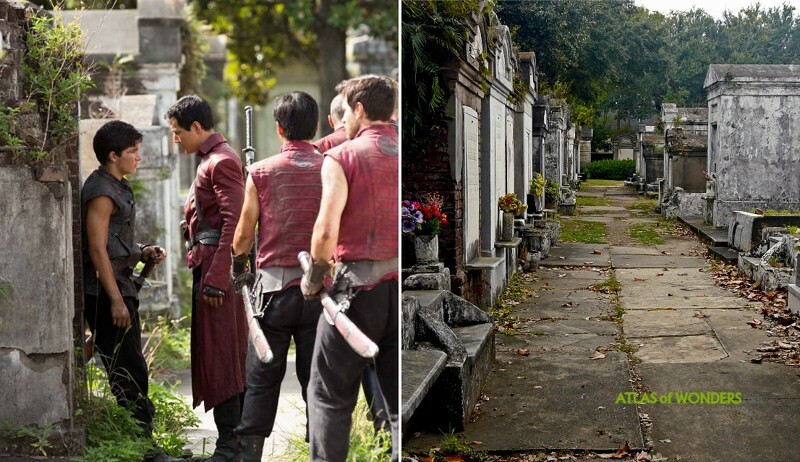 To create this peculiar retro-futuristic land, Into the Badlands was filmed around New Orleans and Louisiana. 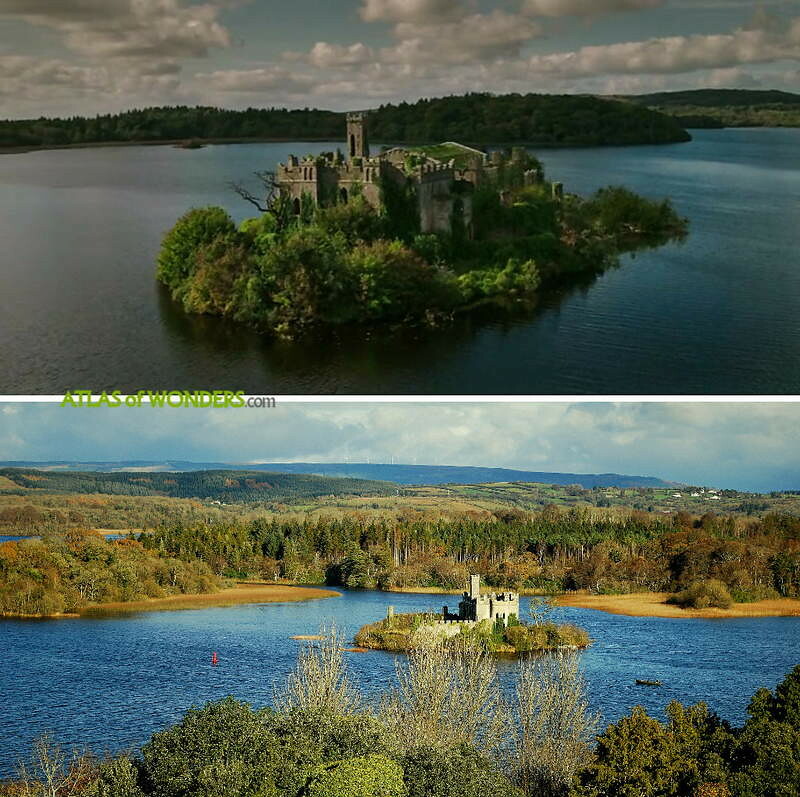 From season two, the production moved to Ireland. 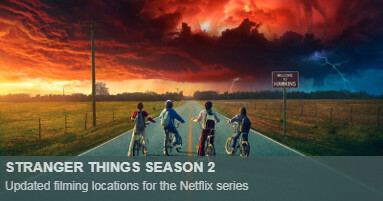 We will update regularly the filming locations of this new bunch of 16 episodes, as the season advances (please scroll down for season 3 locations). 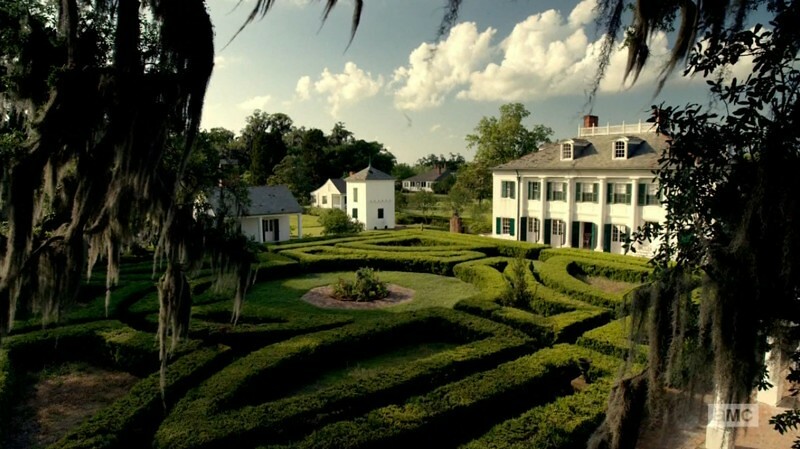 One of the key locations is the Evergreen Plantation (Wallace, LA), that served as the fort of Baron Quinn. 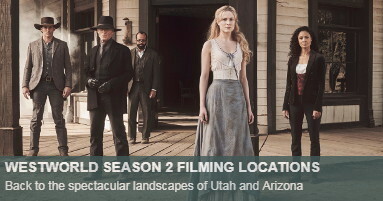 This is the same filming location of Tarantino's Django Unchained. 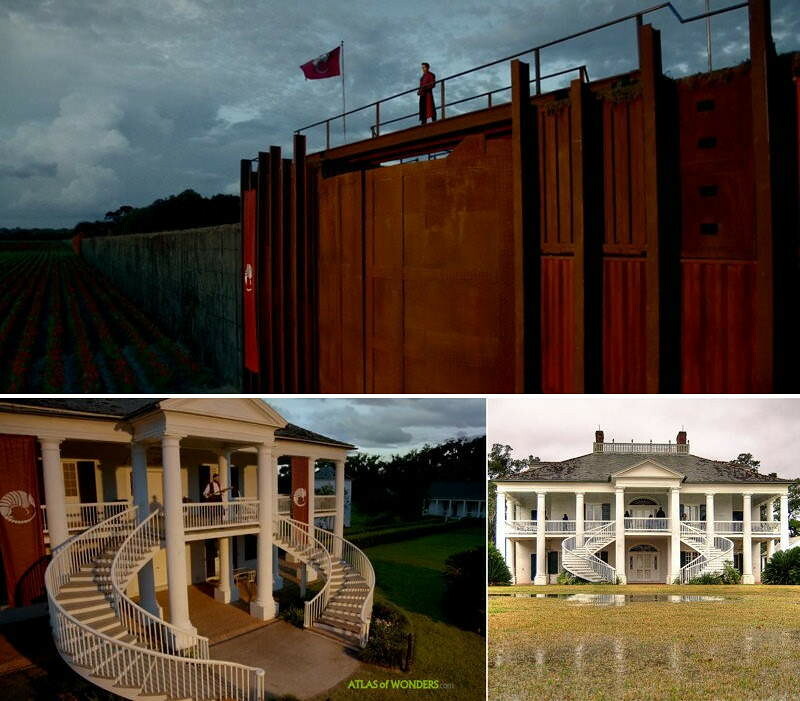 The impressive red gate doors were also built at the entrance of this historic landmark from the slavery days. Pictured, the gardens on back of the house, also featured in the series. The first season was headquartered at the St. John Center Soundstage, where the set of the decaying street was built. 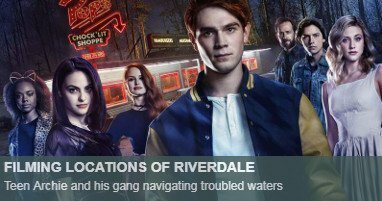 According to local website New Orleans Plantation Country, the Second Ward school in nearby town of Edgard was also used for filming. 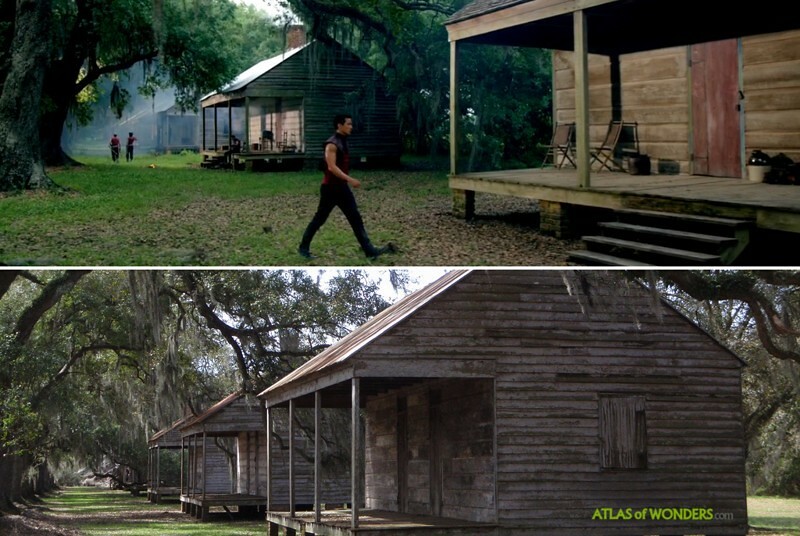 The cabins of the clippers were filmed in some of the slave quarters preserved in the plantation. 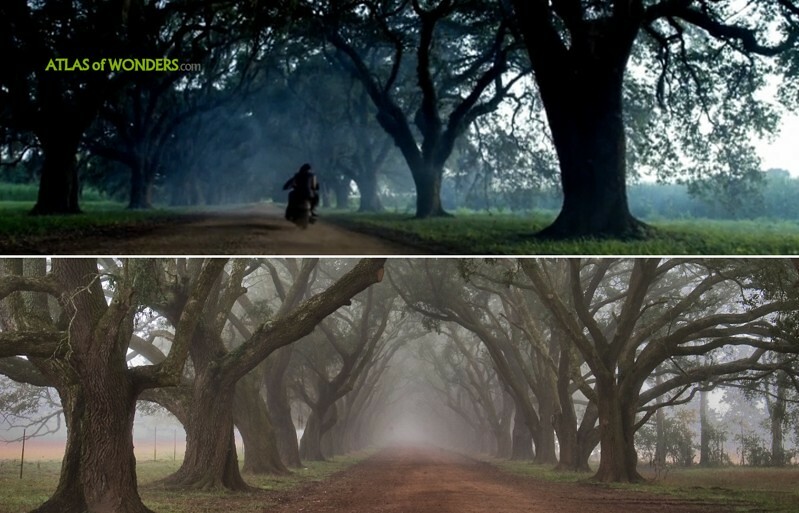 The majestic oak alley that appears in several sequences, also belong to the same complex. 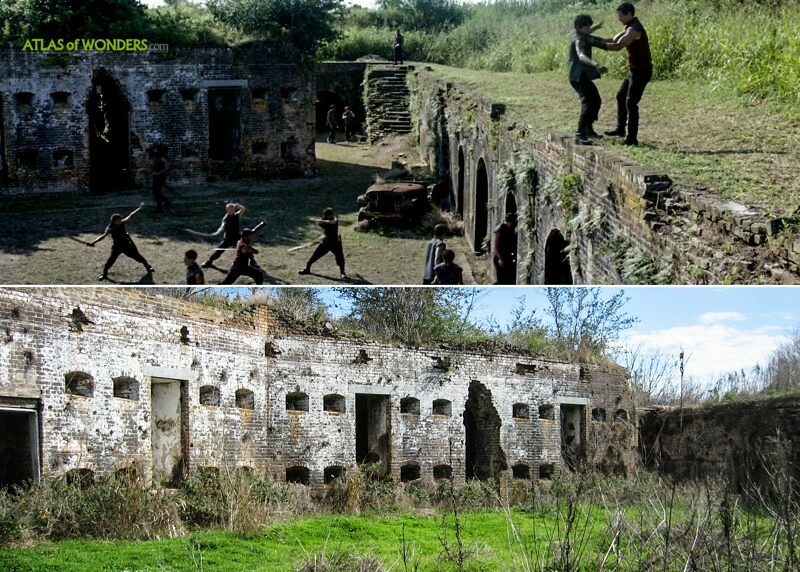 The training grounds of the fighters were shot in the abandoned 19th-Century fortress Fort Macomb. The Chef Menteur Bridge is just a few feet away from Fort Macomb. The Lodge of the Widow was located at the Longue Vue House and Gardens in downtown New Orleans. The neglected Luling Mansion was used as the hideout of the butterfly's army. 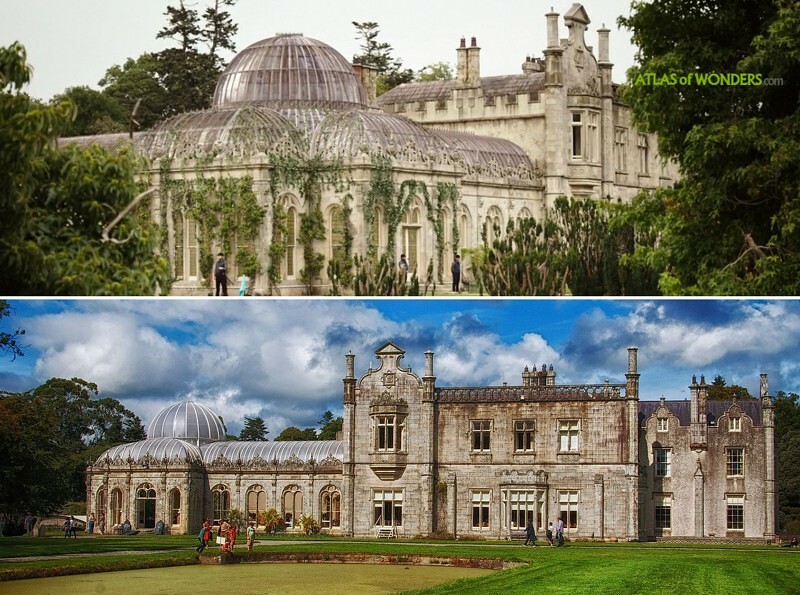 The Baron's conclave (S02E04) was held at Cabinteely House in Dublin. 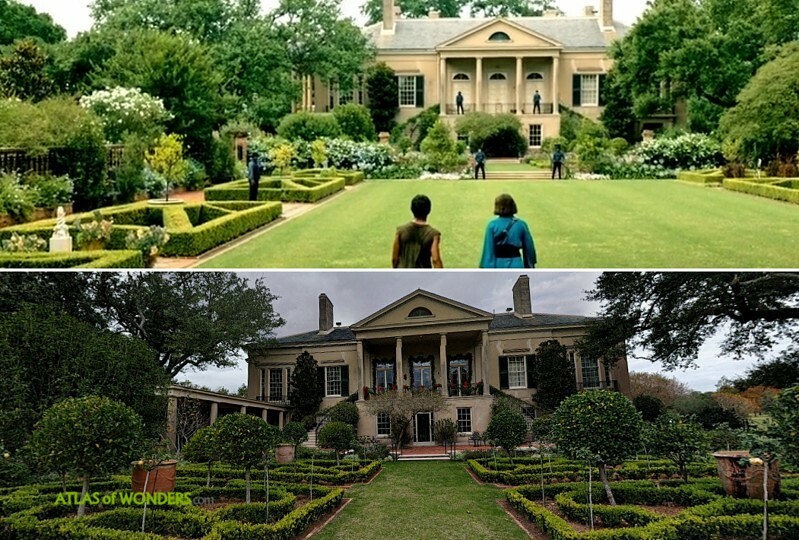 This manor was used again in S03E03. A commando sneaked into the overflow spillway (or The Glory Hole) Vartry Reservoir, Roundwood. 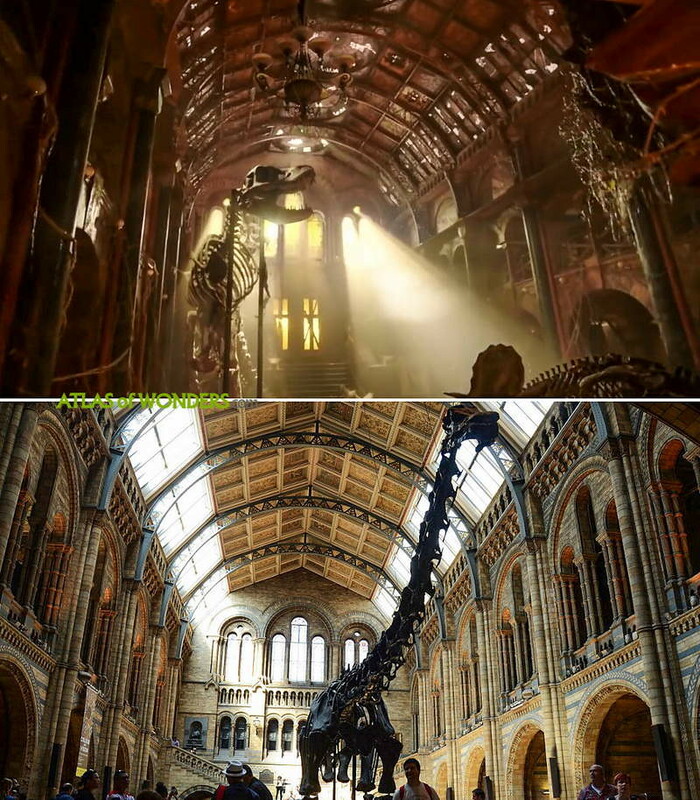 The dinosaur set is inspired by the great Hintze Hall of the Natural History Museum in London. At the start of episode S03E13 Kannin and Sunny are brought to the Black Lotus outpost Razor Ridge. 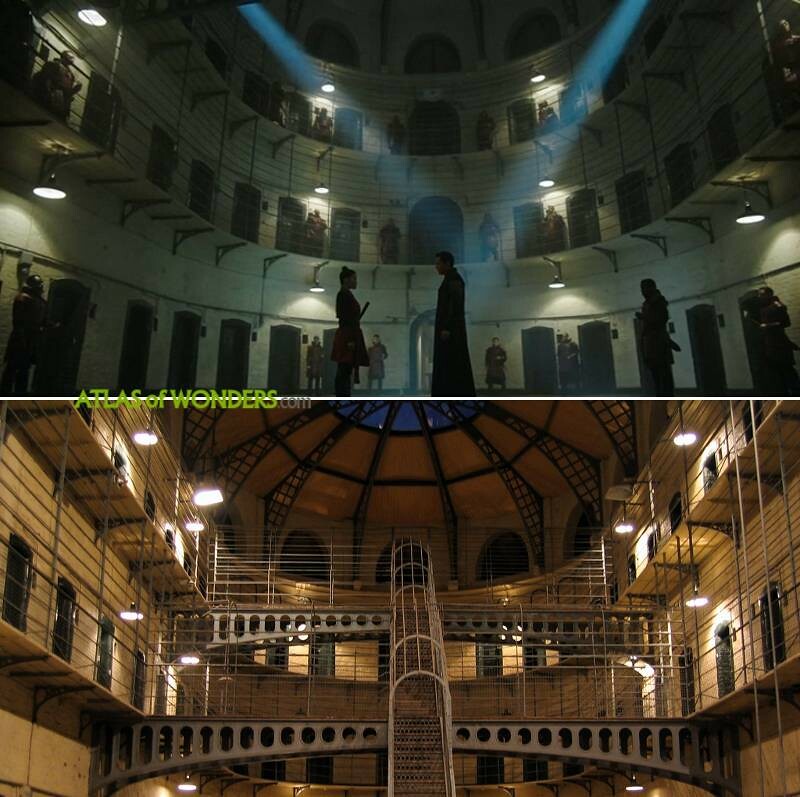 This is the Victorian wing of the old Kilmainham Gaol, a former prison in Dublin transformed into a museum. 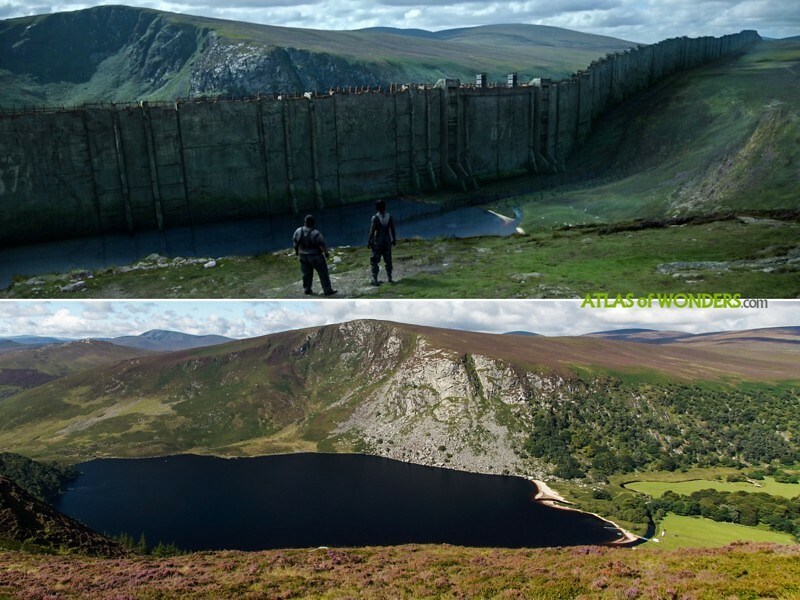 Can you help to find the missing filming locations of Into the Badlands? To complete and correct this report, any feedback, info or images that you may have are more than welcome, thank you! 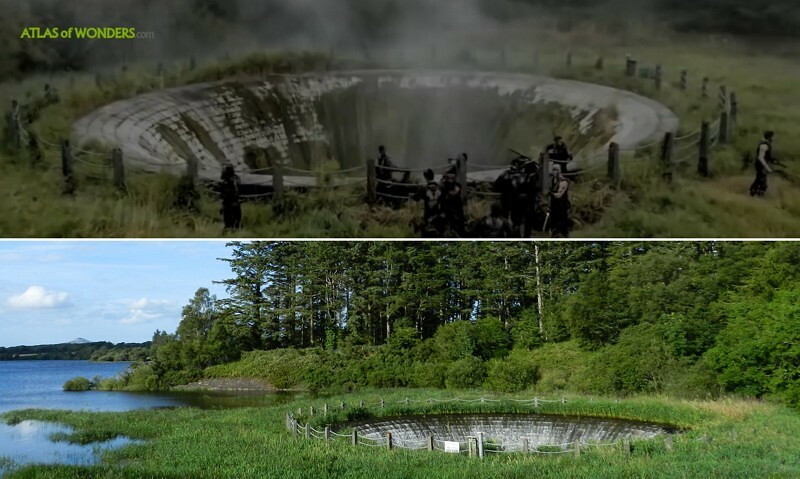 The scene in season 2, ep2, with Tilda and Waldo at the round lilly pad fountain surrounded by high-walled shrubbery is also filmed at the Kilruddery House. 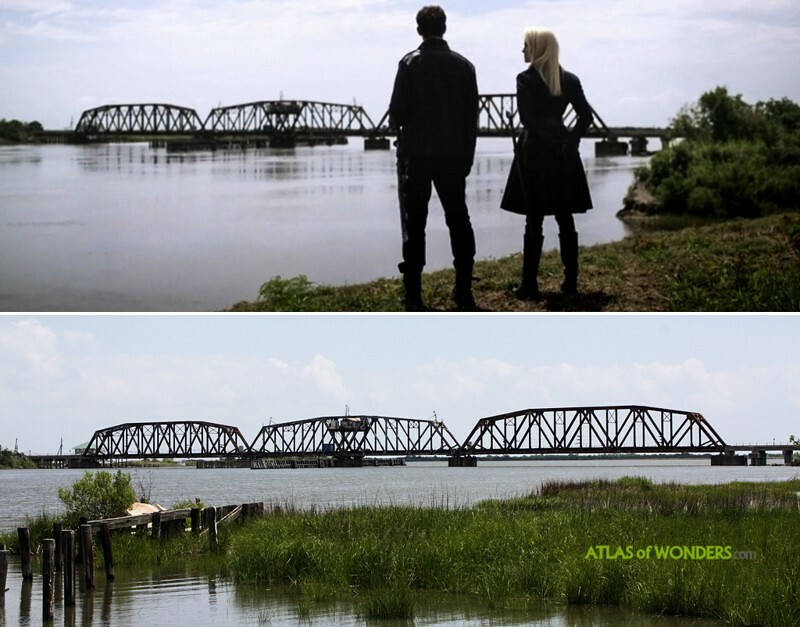 s3e10 the ending shots at the tower is what i came here for. That's it thanks. 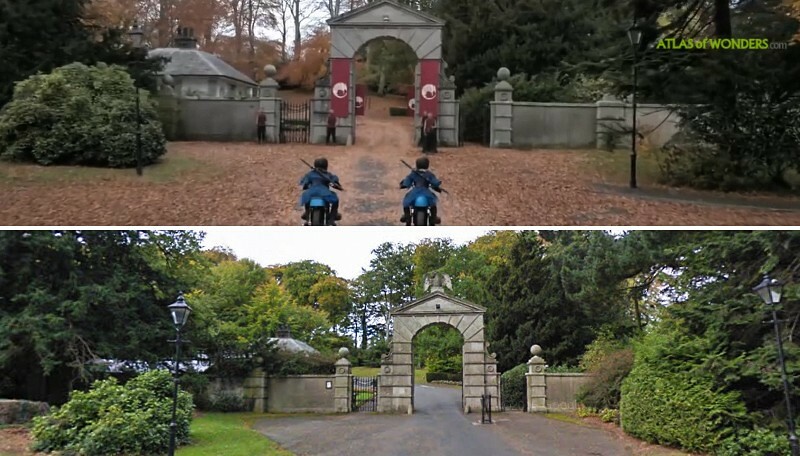 Interesting to see the CGI difference between real life and the screen towers. 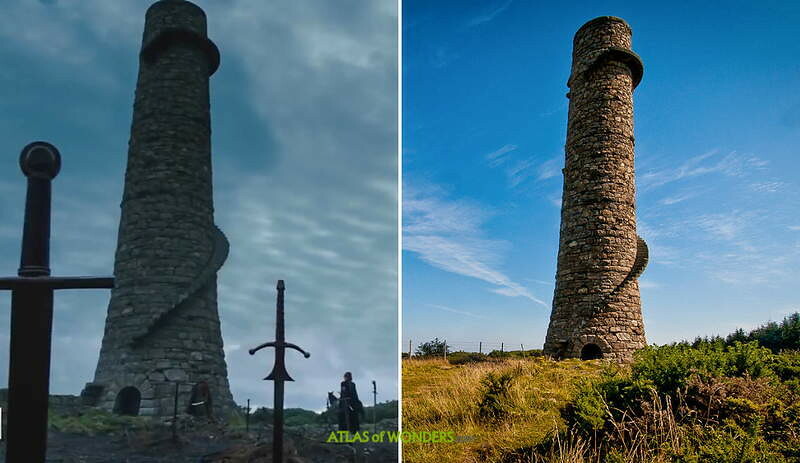 The oil refinery and towers in S02E01 were filmed at Poolbeg towers in the Dublin docks. Just one more while I'm here. 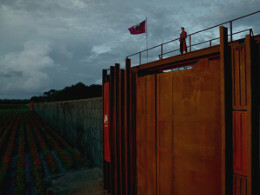 The entrance to Quin's underground base during Season 02. It's called Vartry Reservoir Lower - Valve Tower. 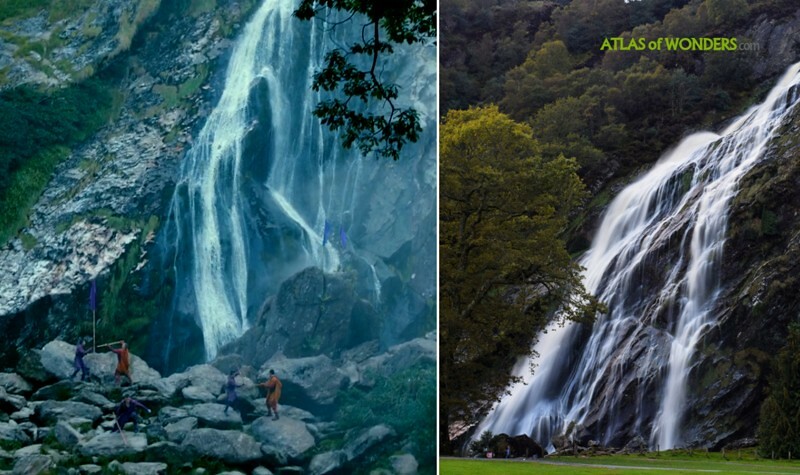 The last image on this page https://c1.staticflickr.com/1/948/28267749028_f265b6f798_b.jpg is Powerscourt House on Powerscsourt Estate.